Aside from pink September photos, I’m in the pink today because I have one day to work, then I’m off for 16, woohoo, by tomorrow I’ll be bouncing off the walls. Warren sky as blue as can be. It was very windy today at the sea, and with bright sun that was so low photography was difficult. The tide was out on the estuary and with hardly anyone around the dogs ran their little legs off. Over on the main beach there were loads of people and it was possible to walk around Orcombe Point. Water was streaming down the cliff and there were fresh landslides caused by the torrential rain we’ve had for weeks now. It was a lovely walk , great for blowing away the cobwebs and burning some of the thousands of excess Christmas calories! My friend and I have a habit of popping to the coast straight from work when we can and as we may not have many sunny evenings left this year we made the most of it yesterday. 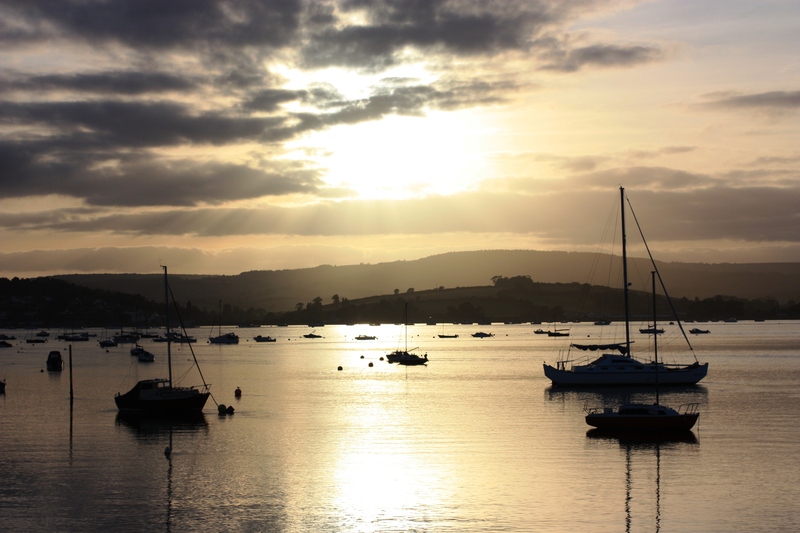 If you have followed my blog for a while, you may remember a post about the Exe Estuary , My city, Exeter, lies 8 miles from the coast, with Exmouth to the east and Dawlish to the west. 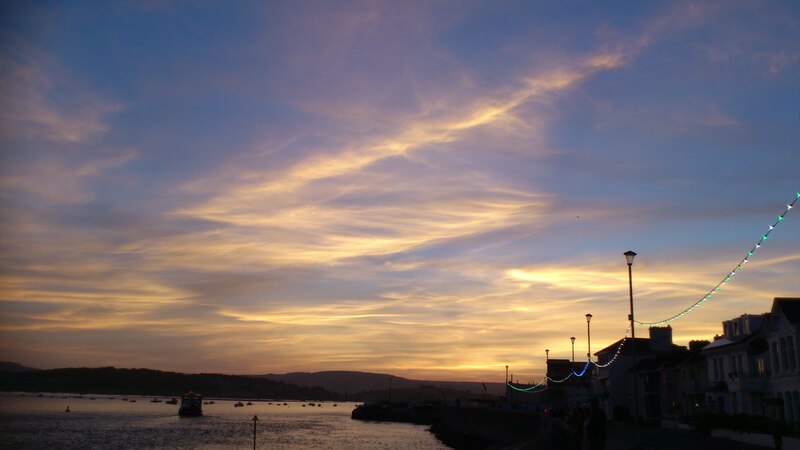 Traditionally if you grew up in Exeter on the west of the Exe your beach was Dawlish and east of the Exe your beach was Exmouth. This goes back to the days when few families had cars and everyone piled on to the trains. 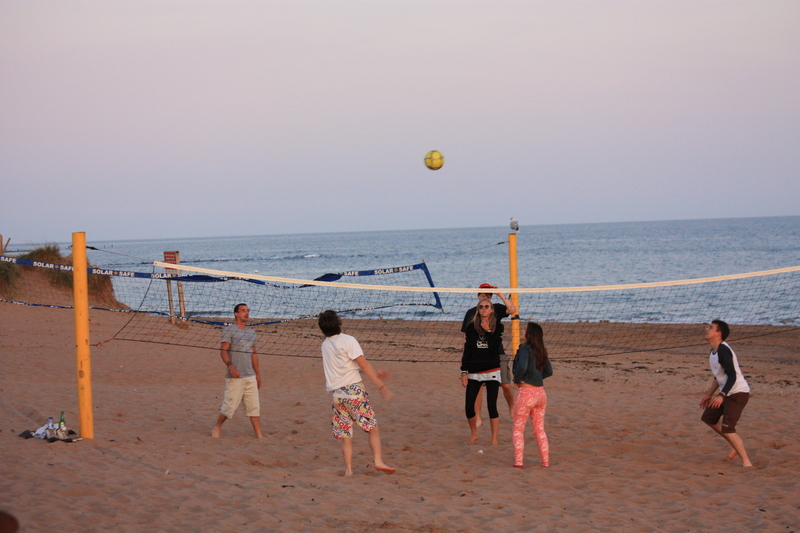 I’m an Exmouth girl! 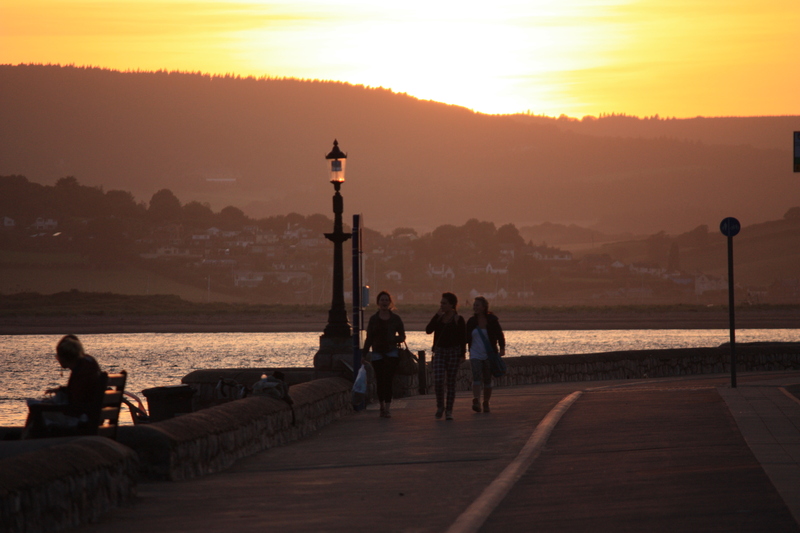 It’s difficult to explain the magic of Exmouth and I often wonder how tourists see it. It’s possibly a little jaded and worn around the edges, a bucket and spade beach with lots of ice cream stalls and chippies. There is a funny little paddle boat pond and a cafe made from an old railway carriage that were there when I was tiny and haven’t changed a bit. Magical it is though and last night it was fish and chips and ice cream, if it isn’t broke then don’t fix it. There’s always something to see down there and here are some pics from last night. Two of these canoes went out quite a distance last night. 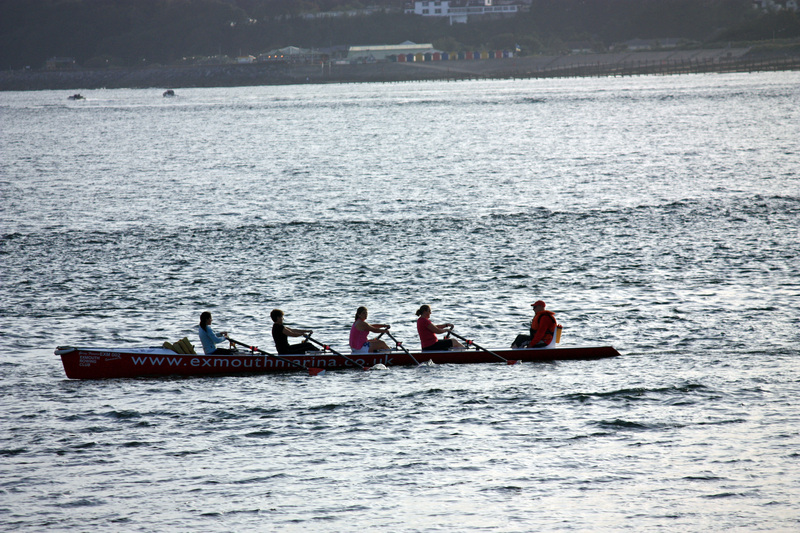 There is quite a narrow channel and the tide was just in far enough to cover one of the tricky sandbanks. 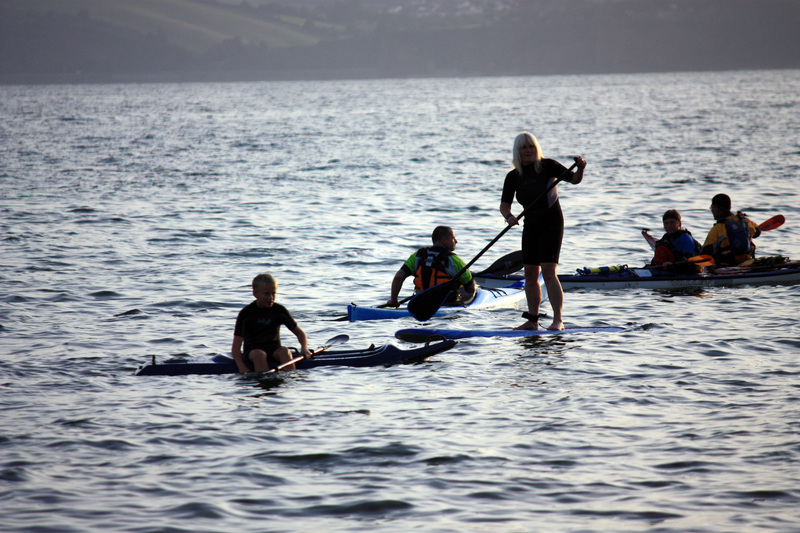 Paddle boarding has become really popular, I don’t know how this water walking lady steered her way through the little kayaks. It was a lovely evening for a walk, the prom is a couple of miles long.Once we left the sand we left the chill of the sea breeze. 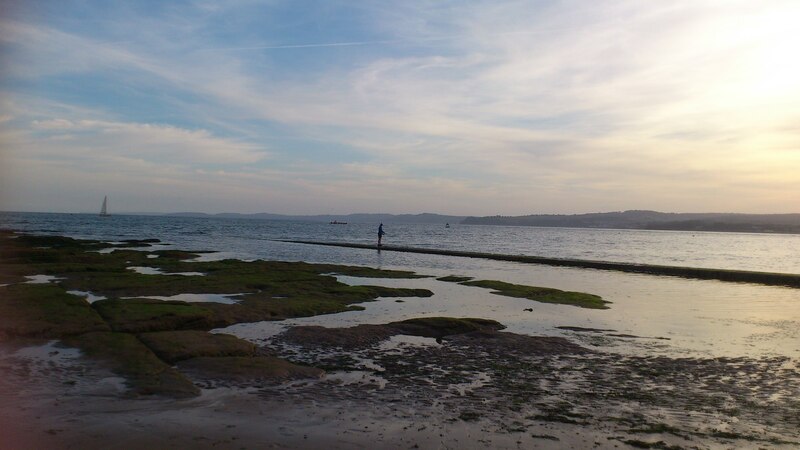 In the distance is Dawlish Warren across the estuary. A hopeful fisherman on the breakwater. To the left the tide is closing in on the sandstone rock pools. 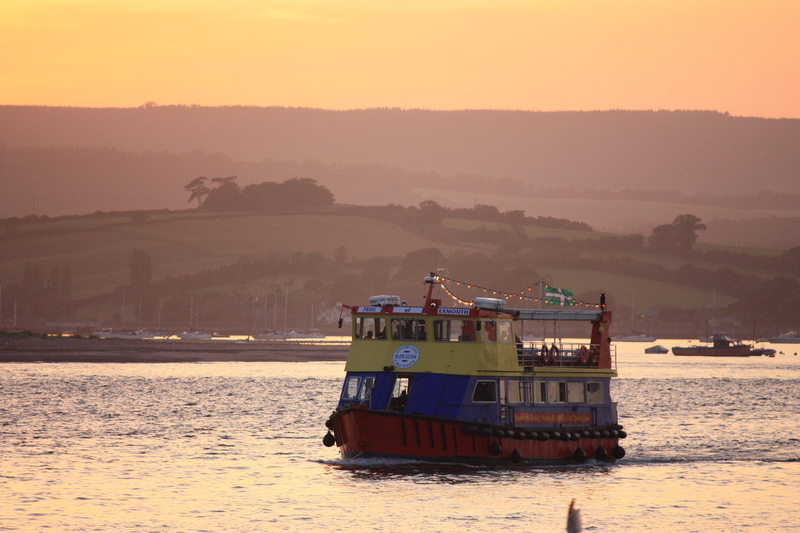 The Tudor Rose is a colourful, bucket of a a boat that sails along the Jurassic coast and up the river as far as the Turf Lock where the canal ends. 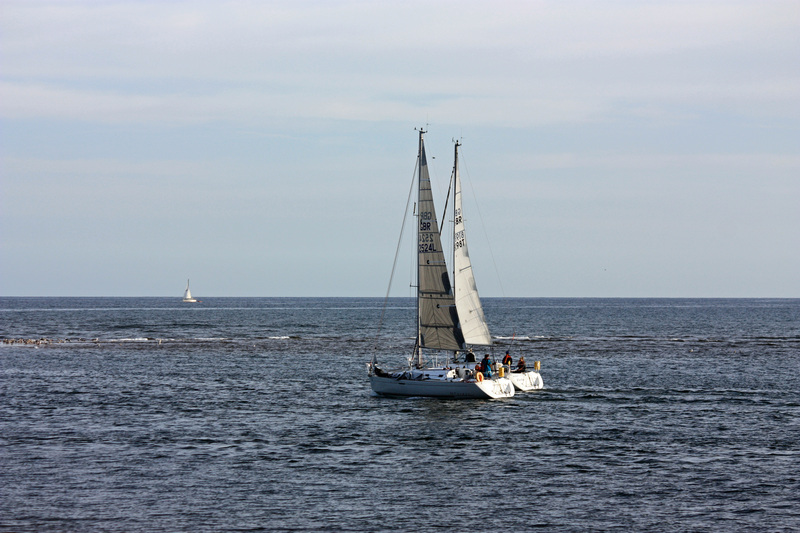 It offers bird watching cruises and parties with live music all year round. Not everyone plays in the water! The Tudor Rose is heading back and we had walked off our fish and chips. Time to head to the Grove, a seafront pub with a lovely view from the balcony and a Pimms! 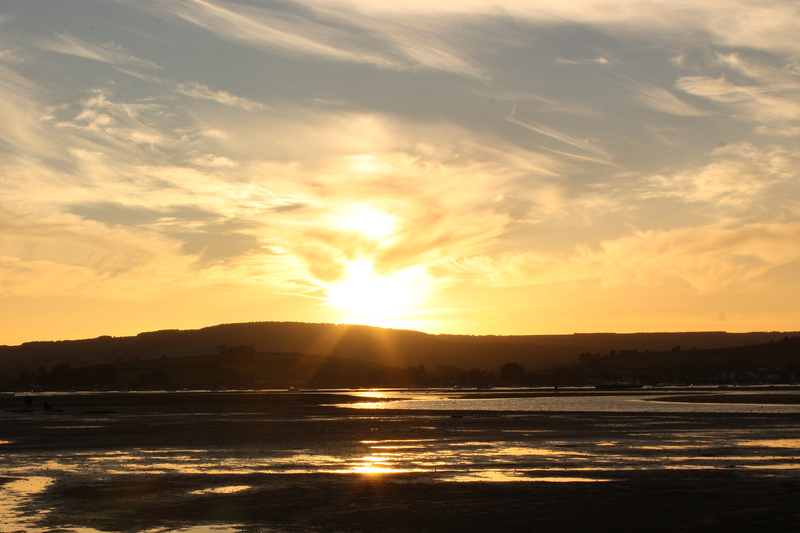 I hope you like what I’ve shown you of Exmouth, it’s very dear to my heart.